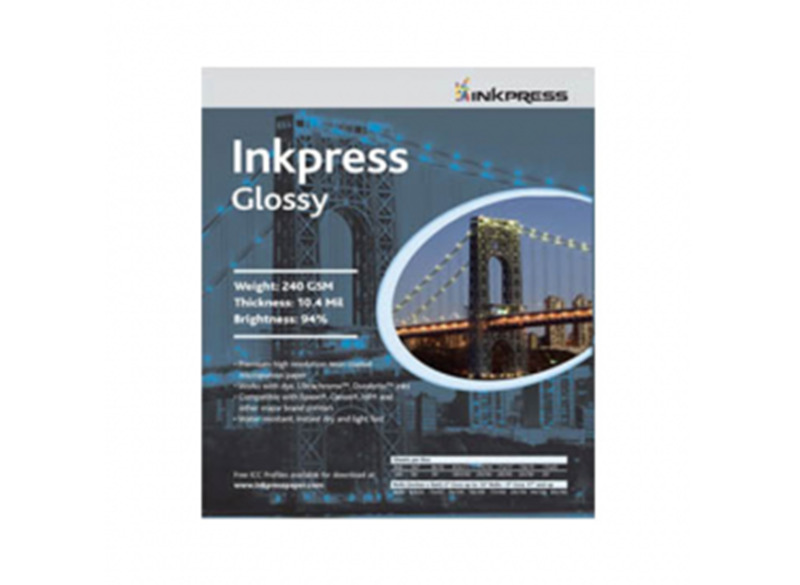 Inkpress Glossy is ideal for Epson UltraChrome K3 inks and all 6-10 color printers. It features an excellent tonal range, bright whites, and outstanding bleed control which helps prevent banding. Inkpress Glossy's new ultra absorbent coating allows pigment inks to dry instantly, thereby preventing puddling and black (shadows) highlighting or laying on top of the surface.